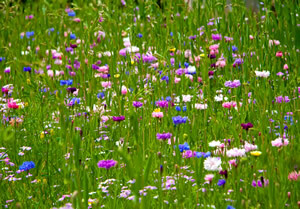 We specialise in a range of grass and wild flower mixtures for conservation areas, field margins and re-established meadows. Tailor made mixtures can be put together from your specification. These seed mixtures are ryegrass free to comply with Entry Level (including Organic and Uplands) and Higher level stewardship schemes. Recreating grassland mixture is designed to increase habitat diversity on predominantly arable areas. Suitable for 2 metre buffer margins, 4m margins, 6m margins and field corners. A seed mixture to sow field margins under the entry level scheme, this creates a narrow strip sown alongside field boundaries and streams to buffer them from agricultural operations. This mixture is also suitable for beetle bank strips and nesting cover for wild birds.